Mental wellness is a foundational building block for helping our teens cope with life. Our teens need every tool available to deal with daily stressors as well as the big things that cause stress and anxiety. But what is mental wellness? How do we know what they need to create that foundation of mental wellness? How can know if they’re struggling? What does is look like? 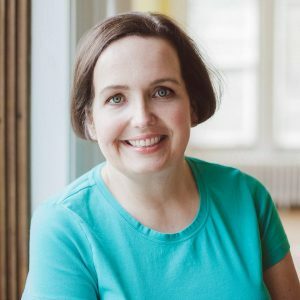 To learn more and find a path to teaching your teen how to maintain mental wellness, join Mighty Parenting podcast hosts Judy Davis and Sandy Fowler as they discuss mental health in teens with parenting expert Ann Douglas. We love some emotions and don’t love others. The ones we don’t like cause us discomfort and we want to make them go away without dealing with them. Mental health is like a bar graph where mental illness is at one end and mental wellness is at the other. Most of us are sliding somewhere in between. We want to keep budging the needle in a healthy direction. Mental wellness goes hand-in-hand with self-care. We have to make sure we’re physically well to support being mentally well. We do have control, we do have power over our mental well-being. Parents are encouraged to think about their child’s physical health and maintaining wellness but not to think about mental wellness until there is a problem. We need to talk about our emotions with our kids and family. We need to learn how to process our emotions and teach our kids to do the same. We don’t identify and manage emotions in a healthy way. As a culture, we teach people to stuff down our feelings, especially when it’s inconvenient to feel it. How can we deal with uncomfortable emotions in a healthy way? Identify It – Say what it is and what it means. Teach ourselves and our children to validate and welcome our emotions. Don’t talk yourself out of them, saying you shouldn’t feel that way. We need to eat well, sleep enough, and stay hydrated to support our mental health as well as our physical health. We need to make space for our emotions and allow ourselves to experience them. We can also make space and take the time to sit with our kids while they experience an emotion. Don’t try to fix your child or solve their problem. Just allow them to experience and release their emotion. As we grow up the world tells us to put a lid on our emotions. But this is human, not a sign of weakness. We need to make space in our lives and give ourselves time to experience our emotions. We need to stop numbing ourselves with food, alcohol, technology, sports, reading, etc. Stop using things to disconnect or distract ourselves from the emotions we are feeling. We’ve become afraid of our emotions because we haven’t looked at them as a healthy part of life. We only want to feel certain emotions and feel we need to push the others away. Why do we want to feel uncomfortable or unpleasant emotions? Because we have to feel it before we can release it. 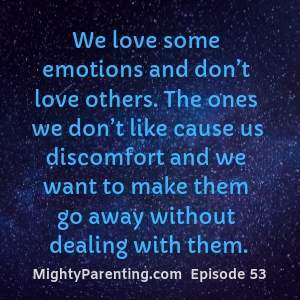 Our families can be a safe space to start opening up about emotions. Perhaps expanding on dinner conversation when we talk about high and low points of our days; not just stating what happened but how we felt about it too. We need to drop judgments and come together to create support networks for parents. We also need to accept help when other people offer it. Ann’s first appearance was in episode 36. Click here to listen to Parenting Through Learning Disabilities, Behavior Problems, and Mental Health Challenges.